August 1941. 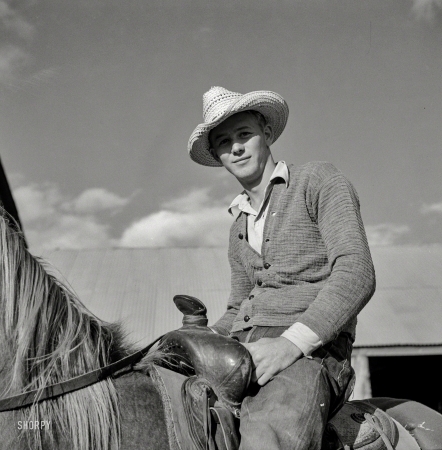 "Cowboy in the corral at Quarter Circle U, Brewster-Arnold Ranch Company. Birney, Montana."